The road that runs along the Taranaki Bight on the west coast of Aotearoa New Zealand’s North Island, is a spectacular drive. It is bordered on one side by sloping farmland, rugged hills terraced with ancient Pa sites and pockets of beautiful bush and on the other by magnificent surf beaches. It passes through lovely little seaside towns, like Mokau. Located at the mouth of the Mokau River just north of the boundary between the Taranaki and the Waikato region, Mokau, has a permanent population of 400 people, who are served by a core of small shops, a hilltop cafe, a Catholic Church and museum. We happened to pass through Mokau and drop into the museum when a meeting of the Mokau Historical Society was in session, so we were treated to a tour (with commentary) of the collection of fascinating artefacts and photos by one of the town’s oldest citizens. Born and bred in Mokau, he had a hundred and one stories of the old town and its characters. In the old days, he told us, Taranaki was possum free. 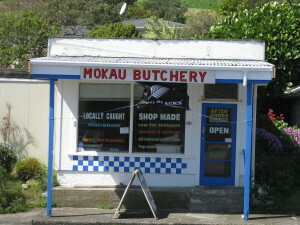 Mokau kept it that way. They went without a bridge to prevent the furry pests from pattering across and posted a watchman with a rifle just in case any sneaked aboard a boat or decided to swim. He had also gone to the Mokau School with June Opie, author of the New Zealand book ‘Over My Dead Body’ which tells of her battle with polio and her years in an iron lung. June Opie’s father, furthermore, was a possum watchman on the Taranaki bank of the Mokau River! Mokau offers excellent fishing, particularly for kahawai and snapper and the whitebait run thick at the river mouth. It is also a popular spot for surfers as it has some great surf breaks. In the summer, holiday makers come to enjoy the beach and the tiny population swells to a a couple of thousand. 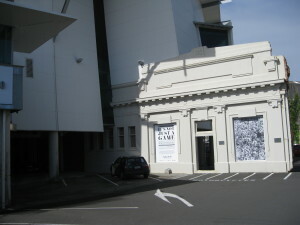 Puke Ariki is New Plymouth’s Museum. It holds all the secrets of life in the region, from the beginning to the present day. Approximately 2000 years ago a band of adventurers left their homeland in Rangiatea and, aboard a canoe named Aotea, captained by a Rangatira (chief) named Turi, followed the stars and the currents until they reached the shores of Aotearoa, the Land of the Long White Cloud. They called their new home Taranaki. Almost 800 years later, a select group of emigrants, from Plymouth, Devon, England arrived in Taranaki, They called their new home New Plymouth. To learn the stories of the two peoples and of the great region they call home, visit Puke Ariki, on Ariki Street, overlooking the wild Tasman Sea. The impressive and unforgettable building with its old/new almost trompe l’oeil facade, consists of two wings linked by an air bridge. It houses the public library, the museum, and the visitor information center. The museum’s “Treasures” galleries take the visitor through different facets of Taranaki and include the taonga, the works of art, artefacts and the many inventions, by both Maori and Pakeha, that necessity, in the new land, gave rise to. Taranaki Stories, details the region’s land wars, pioneer history, and life in Taranaki today. The state-of the art theatrette has seats that change colour as the lights fade down and is used to support the current exhibitions. 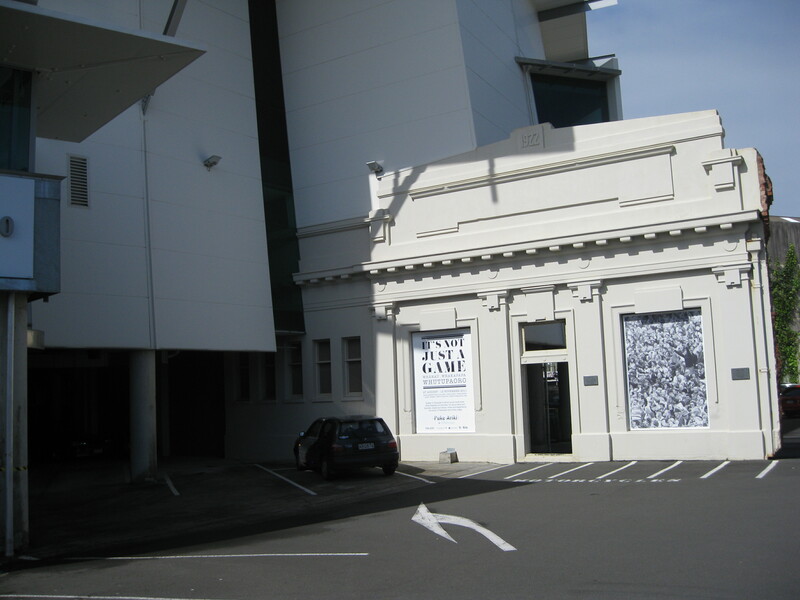 At the time of our visit, during the 2011 World Cup, there was a great exhibition on Taranaki Rugby and a fascinating film in the theatrette on Maori Rugby in the region. The complex has two cafes and a large grassed outdoor space. The museum is open Monday through Friday from 9am to 6pm, and Saturday, Sunday, and holidays from 9am to 5pm. Admission is free.